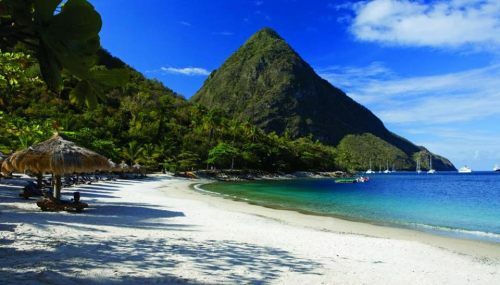 Air Canada Rouge is selling off some last minute seats to Saint Lucia, the beautiful island in the south Caribbean, for $349 CAD roundtrip including taxes. 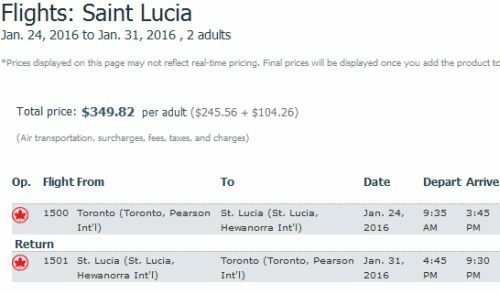 Update (Feb 23) - Delta has dropped the price of some of their February, March, and April 2016 flights from Toronto to St. Lucia down to $388 CAD roundtrip including taxes. (There's also a couple in November 2016, and even one in January 2017). 2. Click on the departure date box to open up the calendar view, and look for date combinations that are $389 CAD roundtrip including taxes. 3. Click through from Google Flights to Delta.com for booking. The map below will show you some great deals on AirBNB accommodations in an ideal location on St. Lucia for under $99 CAD/night for 2 people. You could also try VRBO, which is showing around 11 properties for under $100 USD/night. Just run a search for St. Lucia when you get there. After you hit Search you can apply the price filter. One Response to "Toronto to St Lucia, - $349 CAD roundtrip including taxes"
Could you do a special blog post on March break deals. I'm a teacher and it's very difficult to find anything affordable. I usually spend months looking. It would be greatly appreciated!! !